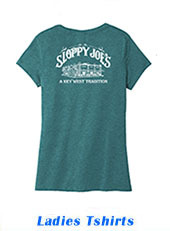 Welcome to Sloppy Joe's Web Store. Inside you'll find a variety of shirts, sweats, hats, souvenirs and party supplies. 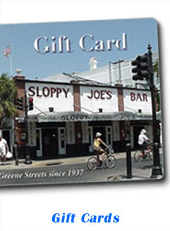 If you're shopping for a gift, but can't decide, Sloppy Joe's Gift Cards are great for any occasion. 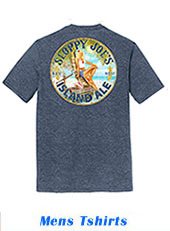 Sloppy Joe's is located in old town Key West at the corner of Duval and Greene since 1937, and our t-shirts are recognized around the world. 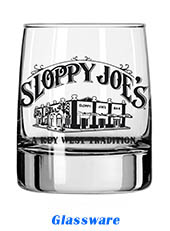 Gift Cards, Hats, Glassware, Party Supplies, Souvenirs or On Sale items.